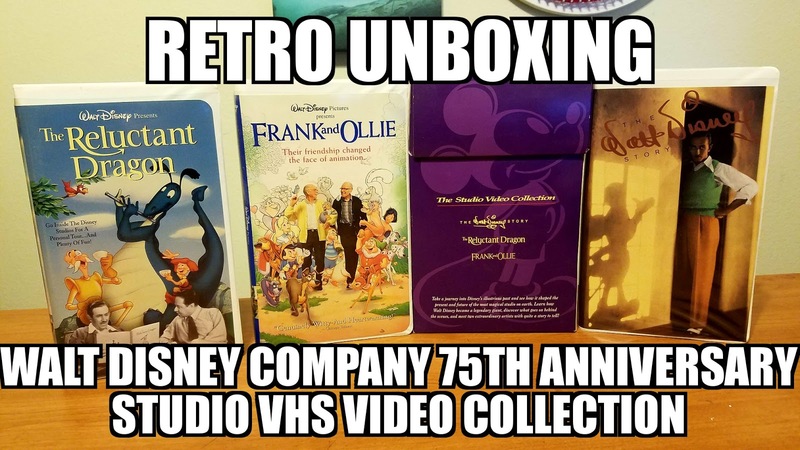 Step back in time to 1998 and take a look at this VHS Video Collection celebrating The Walt Disney Company's 75th Anniversary! The set features The Walt Disney Story, The Reluctant Dragon and Frank and Ollie! I think Disney should lead a retro revolution by partnering with an electronics company to make VHS/DVD players! I think fans would go bananas to have new Disney titles on VHS. Audio cassettes and vinyl recently made comebacks!